Is My Abusive Partner Really Going to Change this Time? There is no guarantee that if to you follow all or some, of these strategies that you will be safe; however, implementing these strategies could help to improve your safety situation. Identify your partner’s use and level of force so that you can assess danger to you and your children before it occurs. If an abusive situation seems likely, try to diffuse your partner’s anger. Try to avoid an abusive situation by leaving. Go for a walk, and let your partner cool down. Identify safe areas of the house where there are no weapons and there are ways of escape. If arguments occur, try to move to those areas. Don’t run to where the children are as your partner may hurt them as well. If violence is unavoidable, make yourself a small target; dive into a corner and curl up into a ball with you face protected and arms around each side of your head, fingers entwined. If possible, have a phone accessible at all times and know the numbers to call for help. Know where the nearest pay phone is located. Know your local battered women’s shelter number. Don’t be afraid to call the police. Teach your children how to get help. Instruct them not to get involved in the violence between you and your partner. Plan a code word to signal to them that they should get help. Tell your children that violence is never right even when someone they love is being violent. 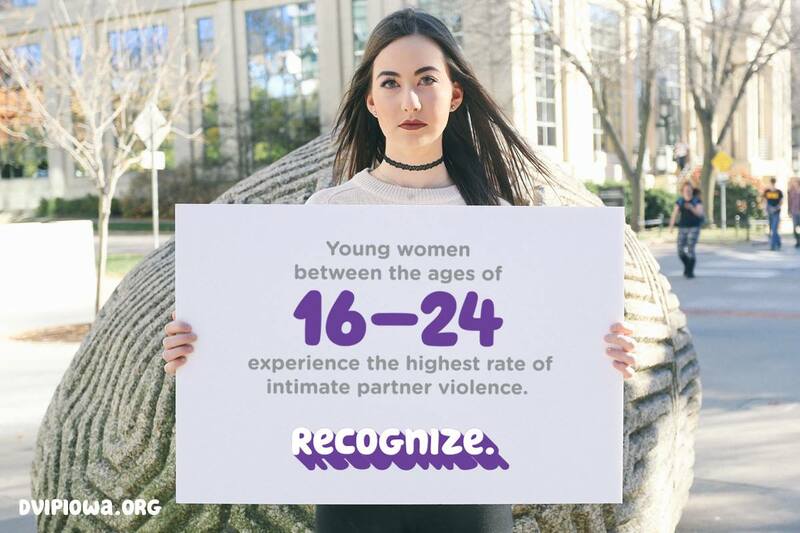 Tell them that neither you nor they are at fault or cause the violence, and that whenever your partner Is being violent, it is important for them to keep themselves safe. Plan for what you will do if, for instance, your children somehow tell your partner of your plan or if your partner otherwise finds out about your plan. Keep weapons, like guns and knives, locked up and as inaccessible as possible. Make a habit of backing the car into the driveway and keep it fueled. Keep the driver’s door unlocked and others locked for a quick escape. Develop the habit of not wearing scarves or long necklaces that could be used to strangle you. Have several plausible reasons for leaving the house at different times of the day or night. Pack an extra set of clothes for yourself and your children and store them at a trusted friend or neighbor’s house. Try to avoid using next-door neighbors, close family members and mutual friends, if at all possible. Valued pictures, jewelry, or personal possessions. Create a false trail. Call motels, real estate agencies, schools in a town at least six hours away from where you actually are located. Ask questions that require a call back to your current house in order to leave numbers on record with your abuser. Inform friends, neighbors and employers that you have a restraining order in effect; and always call the police to enforce the order even for the slightest violation. Alert school authorities of the situation, and the fact that a restraining order is in place. After you leave, reschedule any appointments that your abuser was aware of before you left. Shop at different stores and frequent different social spots than you previously frequented so your abuser will be less likely to find you. Alert neighbors of your situation, and request that they call the police if they feel you may be in danger. Replace doors with solid-core wood, steel or metal doors. Install security system, if possible. Tell your co-workers about the situation; ask their assistance in screening all calls you receive during office hours. Explicitly inform your children’s caretakers about children who is allowed to pick up the children and that your partner is not allowed to do so. Call your telephone company about “Caller ID.” Ask that your phone be blocked, so that if you make the phone call, your partner nor anyone else will be able to get your new, unlisted phone number. All rights reserved. Copyright 1995 by the National Victim Center. This information may be freely distributed by electronic communication, provided that it is distributed in its entirety and includes this copyright notice, but may not be reprinted or distributed by any other means without the express written consent of the National Victim Center. This information has been provided to you free of charge as a service of the National Victim Center. As a non-profit organization, the Center is wholly dependent on private donations and public support to sustain its operations. In order to ensure that the Center is able to maintain and expand this Internet site, please consider making a tax-deductible donation to the Center. in car, under bed, neighbor’s, church, public locker, garage, etc. pack for yourself and kids: shoes, socks, underwear, nightwear, change of clothes, toothbrush, combs, diapers, etc. Remember that every situation is different, so some of these ideas may work for you and some may not. If you would like to talk about more options or how to apply an option to your situation, we can help! Just give us a call on our crisis hotline any time of day or night to speak with a trained advocate and make a safety plan. This information about the Pro Se Domestic Abuse Protective Order is general. For more specific details, the court process and additional community resources contact a DVIP advocate at our 24-hour Hotline. All services are free and confidential. We can help you figure out if this option is available to you and if it is a safe option. Iowa law combines two sections of the criminal code to define domestic violence. The assault code, which defines criminal behavior and the domestic abuse act, which defines a domestic relationship. Physical contact that is insulting or can cause an injury. The threat of physical contact and the apparent ability to carry the threat out. Using a weapon in a threatening manner. Two individuals that are married, divorced or separated. Two individuals that have lived together at some point in the past year. Two individual that have a child in common, whether or not they have been married, divorced or living together at some point in the past year. Two individuals in an intimate relationship or have been within the past year. Introducing a new program at DVIP! We are adding inside and outside kennels to assist victims and their children with pets staying in our emergency safe shelter. We are renovating a basement room, that has access to DVIP’s backyard, to include 3 dog kennels and 3 cat havens. The room will have special venting and bathing facilities. Outside we will have 3 dog kennels and small run area. We expect to assist about 25 pets a year at our shelter. Up to 70% of domestic violence victims report having a pet. Abusers threaten, injure, and at times kill pets in order to control their victims and to create an environment of fear within the home. Approximately 48% of women have refused to leave a dangerous situation for fear of their pets’ safety. DVIP is the only domestic violence program in Iowa that has an organized safe pet program. Over the past 15 years DVIP has raised funds and recruited community support to foster and provide critical resources (medical/food) to pets. In the past year we have fostered 2 horses, 1 donkey, 1 potbelly pig and 8 piglets, 3 rats, 1 snake, 1 bearded dragon, 1 rabbit, 12 cats and 7 dogs. Many times our volunteer foster partners work with our families to make sure they see their pets throughout their stay in shelter, but this doesn’t replace being with your pet when you leave your home. In November we were awarded a national grant from RedRover to expand our support services. It is our goal to provide kennel services on premises, because we understand the therapeutic value of families and pets staying together when they are in crisis. We will maintain our foster program, but by adding kennels we provide flexibility and a unique support. Our partners have been fantastic in preparing for this change. With the funds from RedRover, we will purchase the cat havens, outdoor kennels, appropriate flooring, venting and bathing units. The Iowa City Animal Care & Adoption Center will be assisting with training our staff and volunteers committed to Cooper’s House. We have also recruited local veterinarians that will provide medical screening of pets coming into shelter. Also, DVIP will be providing therapy animals, such as our therapy-dog-in-training, Molly! Research shows that pet therapy has profound impacts both personally for victims and can also impact positively the shelter environment. Pet therapy reduces stress, and provides support during times of crisis or conflict. This is also true for victims that will be able to bring their pet to shelter through our Pet Program. The human-­animal bond can facilitate healing, aid attachment, and provide a source of comfort to survivors and their children. Visits can be spontaneous and visits last as long or as short as needed; or can consist of specified goals and objectives for each individual, focusing on nurturing, grief, loss and rebuilding trust. We will need additional funds to pay for the inside dog kennels—funds for walls, dutch doors and tiles (or fiberglass) for wall protection. 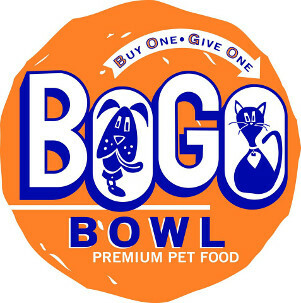 Throughout the year we will need donations of dog food, cat food and litter. Other helpful items will include leashes, collars, portable kennels, litter boxes, toys, food/water bowls, bedding and towels. 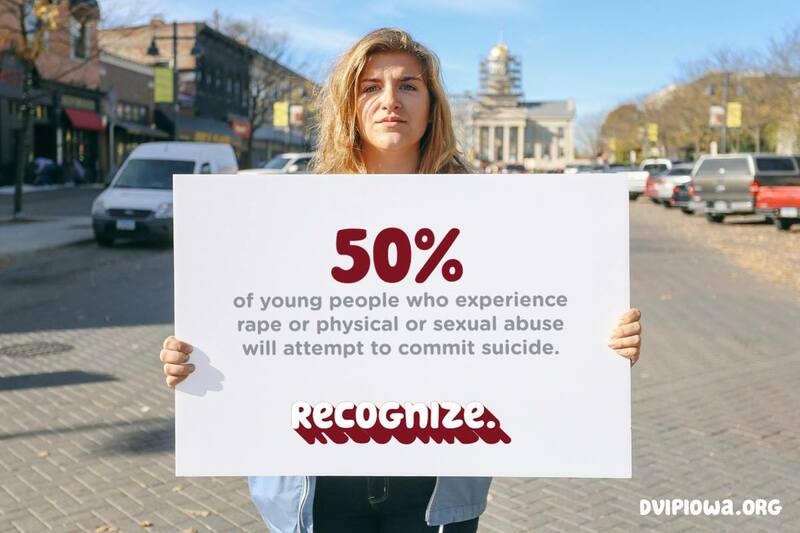 The Recognize campaign is a social media initiative launched in August, 2016. By using social media, we hope to spread awareness, knowledge, and support for those who have or know someone who has been affected by domestic violence.